I’m always grateful for books. They have a way of getting into our heads (or getting us out of our heads) and transporting us to a new timezone or era or socioeconomic group. They are lovely and today I am especially grateful for them. Alright. Let’s get on with the reviews. 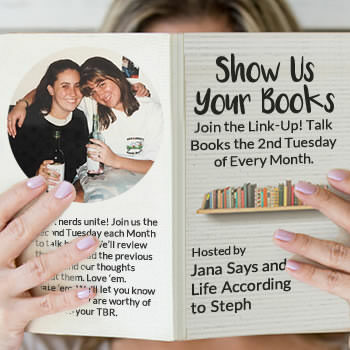 Linking up with Jana and Steph obviously for some Show Us Your Books! I wasn’t sure what to expect with this one. It was recommended by a friend and she called it a “guilty pleasure.” I really loved it, though. (I don’t consider entertainment a guilty pleasure. Like what you like without the guilt.) 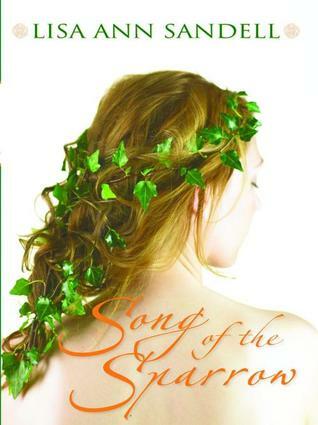 It is written in verse and it focuses on Elaine of Ascolat- her life in the solider’s camp, her relationship with the men under Arthur’s brigade, her love interests and family and friends (and enemies). I didn’t think I’d be able to get into the story with the structure and all, but I did. I liked Elaine and her spirit. I loved her loyalty to the men and their loyalty to her. Her story with Gwynivere and Arthur was great. While not legendarily/historically accurate, it did give me some Arthurian insight- I’ve never read a story regarding King Arthur or his friends. Read it? If you like historical fiction and unique verse, yes. Ow ow… Well wasn’t this book quite the improvement from her last one. I’m a new R.S. Grey fan and no expert by any means, but I liked this little number. Bailey was just a *little* cautious and quick to react, but I know a good love story needs a little friction. I loved Dr. Russell. The cover art didn’t match my mental picture, though. In my mind he was Oliver Hudson meets Grey’s Anatomy doctor. I believe he’d be what the kids these days call a SNACK. (Hahaha- I’m laughing at myself right now. Hope you are, too.) Anyway, I liked it. I had some issues with some little stuff, but I won’t go into it. Also, I know there’s an age difference right now, but I think it’s only about 10 years so if J and C wanted to have a nice little romance once she hits age 24 or so I wouldn’t be mad about it. Anyone else? Read it? If you enjoy romance, yes. The absolute worst part about this book is knowing that The Lunar Chronicles are officially over once you hit the last page. *SIGH* Other than that, no serious complaints. I find the book characters to be a little more likable (especially Scarlet, Wolf, and Carswell), but I love the lunars (Jacin, Kinney, Winter, Tressa). GR folks seemed to hate the illustrations in this one but I didn’t mind. I wish I’d have reread Volume 1 before diving it, but the story was easy to follow and I loved the tension with Scarlet & Wolf. I won’t lie… I think there should be a third volume where we just get all the closure we need… Luna government, all the relationships, everyones’ HEA. I’m looking at you, Marissa. We deserve it. I avoid books about animals because my heart can’t take it sometimes. This was a long children’s book about a 27 year old gorilla and his friends who live in captivity at a roadside mall attraction. 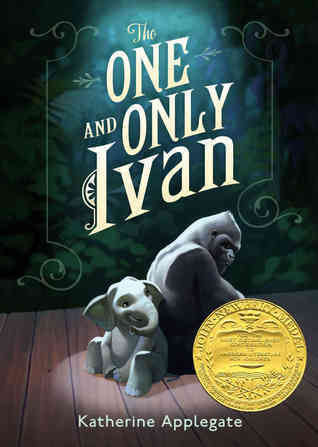 Ivan is ok with his life until baby Ruby the elephant arrives, and his memories of childhood mix with his desire to do more. He comes up with a plan to improve his and Ruby’s life. I loved Ivan… and Stella and Bob and George and Julia. Ruby, too. Humans can be and are the WORST sometimes, especially when it comes to the treatment of animals. Bob and Ivan and Stella have NO reason to trust our species. Often within this story we see humans let their animal friends down. But then you get a few good ones together and magic happens. I loved the complicated nature of man vs. beast. (And I say beast for theatrical purposes- I much prefer animals to Homo sapiens.) Even when we think we get it right, we don’t always get it right. Read it? Yes. It will only take an hour or two. Read it to your kids, too. Honestly- didn’t love it, didn’t hate it. It was a snuggly PG romance that I finished one day and had mostly forgotten about the next. I like when a book is entertaining and snuggly to read, but it doesn’t give me a book hangover for days. (I don’t mind book hangovers- I just can’t handle them from every book.) Eva was very likable. Ben was very likable. Everyone seemingly got their HEA and I didn’t mind it one little bit. I read the ebook version and I will say it could’ve been proofread once or twice before release, but whatever. I can see past those things. I liked that whatever drama there was, the characters were fairly quick to talk it out and communicate. (YAY!) 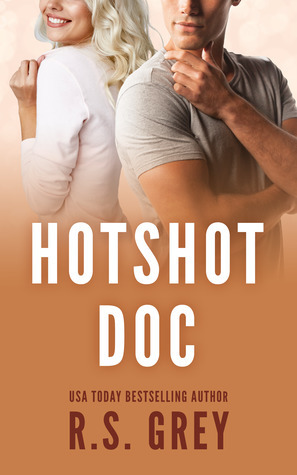 The romance books I’ve read lately have been steamy and this one wasn’t, but it got the point across and it was cute and I had no problem with the implications (verses details). All in all, it was cute and cozy. Read it? If you’re looking for a cute and cozy PG winter romance, yes. Read it? I’d say no, but I think I’m in the minority. Read it? Obviously going with NO on this one. Although some people really loved it. I’m at 130 out of 200 points. I have The One and Only Ivan and I keep hearing good things about it. I might read it at the weekend for Jana and Steph’s readathon. Did you end up reading it? It was such a bittersweet story. Not yet but I will hopefully get to it in March. The One and Only Ivan is one I might pick up. I’ve seen such good things. 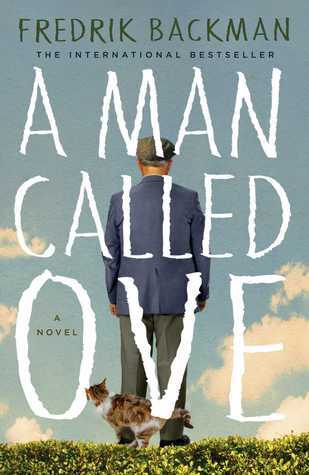 A Man Called Ove is on my TBR but so are a lot of his books so I might pick those up first. Great reviews! Ivan was so sweet. Sad moments and infuriating moments (which always happens when you mix humans and nature), but such a good story. I wish I’d have liked Ove better but I just didn’t click with it. Girl, what in the world is snack??? I am so old. I loved Hot Shot Doc, and I have the same feelings you did about Ove. I didn’t think it was as amazing as other people did. 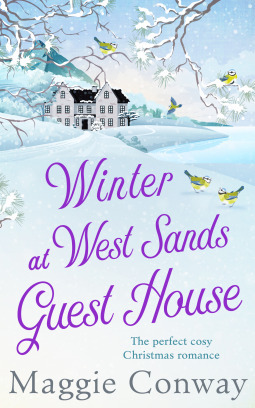 That is disappointing that Winter at West Sands Guest House wasn’t better, as the cover had me go ohhhh whats this?!?!? Before I read what you said lol. Winter at West Sands was a cozy winter read. (Like a cold beach read?) Nothing crazy or in depth but it passed the time just fine! The RS Grey looks super interesting! I thought it was one of her better stories! You’re doing great on Erin’s Challenge! 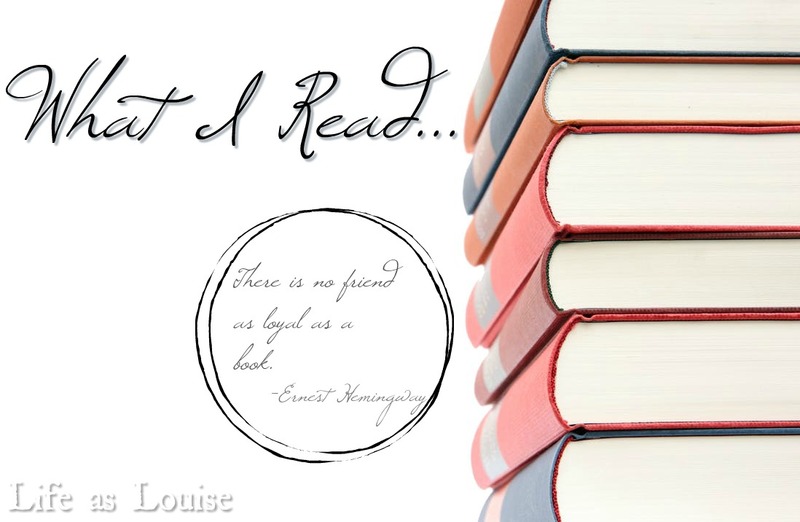 I’ve been reading more for my other challenge – I need to get to it on Erin’s! I’m interested by your review of Ove since I’ve heard so much about it! Just goes to show that everyone likes different things! Thank you! I’ve lost a little steam recently… I’m not sure if I’ll finish or not. I thoughts/wished I’d like Ove better than I did. Just didn’t click, I guess. I’m always grateful for books too. It looks like you read some good books lately, so that’s awesome. 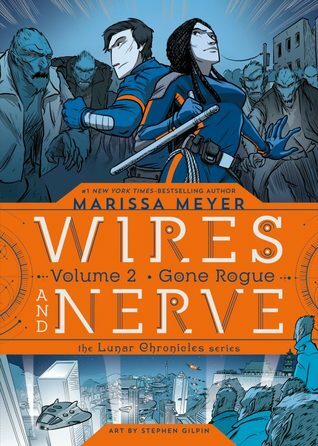 I still need to read Wires and Nerve volume 2, but I really liked the first volume. I also need to read the short story collection Stars Above. I was flying last Tues. and I always distract myself from my fear with books 🙂 Thank goodness for them! I really enjoyed every piece of The Lunar Chronicles. The graphic novels were just as interesting and exciting to me! I had bought that Ivan book for my nieces when they were little. Knowing full well, I cant read anything involving an animal – haha! I hate you didnt like ova – I will say, this is one of the times that i think the audio made the book. I actually read it along with the Audio – reminded me of growing up where you’d play fairy tales on tape & read along – do you remember those? haah – anyways – I loved that book. But hey, I totally see where he got on your nerves as an old jerk. He reminded me of my grandpa that way – haha – may be why I liked it. It is kind of brutal as far as animal treatment goes. I cried a few times. Happy ending, though. I really thought I’d like Ove better. My grandpa, dad, and husband are all gruff men. Haha. (K isn’t that gruff but he’s not a people-pleaser.) I didn’t mind certain things about Ove but sometimes he was just ridiculous and I tsked his behavior. All his “friends” and neighbors were lovely, though! There are heartbreaking moments. I loved the ending, though. And I think it’s an awesome eye opener for people who pay for and partake in animal-based sideshows. In our family we appreciate nature in nature so there’s no swimming with dolphins, elephant rides, etc. I’ve done too much research into the stuff and don’t like the answers. LOL at “snack”. 😀 I have not read the Lunar Chronicles graphic novels but I want to because I loved that series so much. And yes, I’d love one final book to give us real closure, yes to HEAs to couples I adore. Animal abuse is extremely hard for me in a book. Harder than, you know, serial killer murder that I read all the time LOL. I could not do Ove. I did not finish it, have no regrets, and no plans to go back. I agree completely. I usually steer very clear of animal books. I’ve read Ivan and The Art of Racing in the Rain. Both books left me sobbing but loving animals even more! Yeah… Ove and I did not click. R.S. Grey has been hit or miss for me but I want to try this one! I agree. This one was a good one, though. The One and Only Ivan sounds really good, I will definitely have to check that out! Always love hearing what others are reading. I enjoyed it. Sad in the way that animal books are, but such a sweet story of sweet animals and what can happen when humans try to cage & control nature for their own entertainment. I didn’t like Ove either. I don’t think I finished it? It was boring! The secondary character are what made me power through. I’m currently reading ‘my grandmother asked me to tell you she’s sorry’ by Backman and I’m enjoying it. It’s different. I was conflicted at first but it’s growing on me. I’ve read one other Backman book. It was short and about Alzheimer’s. I really enjoyed that one. Ove just bored me and made me irritated. When I was reading it I was like, ‘This is sooooo up Alexandra’s alley!’ Doc was a redeeming book after Not So Nice Guy!! Ove just made me bored and irritated, lol. Ivan is a short one, so that’s nice. And the animals are so so sweet. But animal books are hard and I wouldn’t force anyone into reading them. Definitely a good message about how humans treat animals, though. I rarely read animals books. It’s just a lot to handle. I need to read Wires and Nerve Vol 2. I read the first one before I even read the Lunar Chronicles. So I’ll have to read the first one again. Whoops. Winter at at West Sands Guest House has a stunning cover. I should’ve reread Wires & Nerve. Oops. I loved it, though. West Sands was a cute pass-the-time-just-fine book. Nothing too deep or complicated in that one. I haven’t read any of these, but I have read some (most?) of The Lunar Chronicles. I can’t remember why I stopped… Maybe an epic wait list at the library? I really need to read them all again from the beginning and then finish up the series. Oh yeah, I’d totally encourage you to finish the series if you haven’t! I love love love The Lunar Chronicles! And I was worried the graphic novels would take away from the main story. Nope! It’s all great!